Who does not love a rich and super-chocolatey bread? What if that bread could also be extra moist, gooey and ever so easy to make? Well, say hello to the double chocolate zucchini bread recipe. 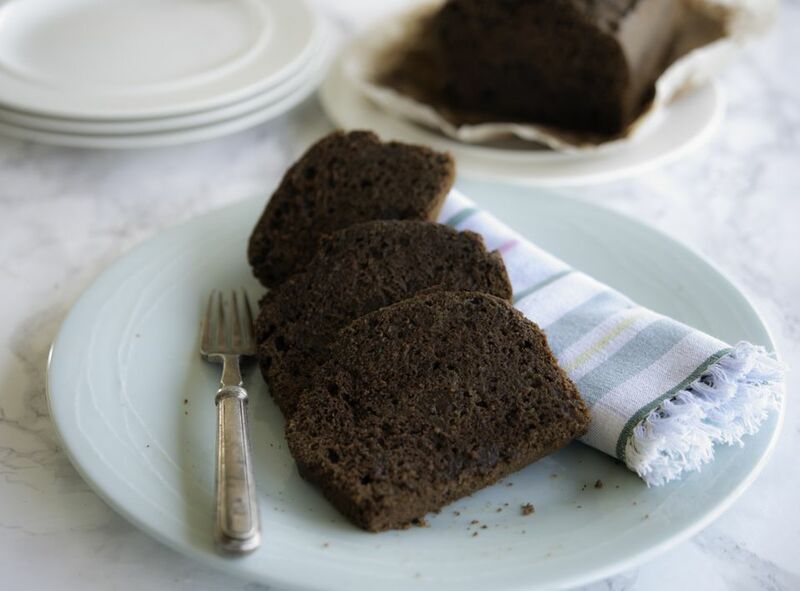 The richness of the bread comes from having both cocoa powder and chocolate chips and the addition of freshly grated zucchini; there is added moisture and a little healthiness too and a great way to get more vegetables into your day. Serve the bread anytime as a chocolate treat or a delicious cake with a cup of tea. Gather your ingredients and preheat oven to 350 F. Grease a 5- x 9-inch loaf pan with butter or line with parchment paper. Place the grated zucchini in a kitchen towel and squeeze tightly to extract as much of the liquid as possible. Place the drained zucchini into a large mixing bowl, add the brown sugar, vanilla extract and oil. Mix thoroughly. Lightly beat the eggs in a small bowl, then mix with the zucchini. Into another mixing bowl sift the flour, cocoa powder, baking soda and stir, add the salt and spice mix and stir again. Stir this mixture into the zucchini mix. Finally, stir in the chocolate chips. Gently tip the mixture into the prepared loaf tin. Tap the pan firmly on the counter to settle the batter and release any trapped air. Bake in the center of the preheated oven for 50 minutes. The loaf is ready when a skewer comes out clean, if it isn’t, continue to cook checking every 5 minutes. Remove the pan from the oven let stand for 10 minutes then turn onto a cooling rack and leave until completely cold. The bread is delicious eaten the same day and will keep for three to four days in an airtight storage container. The bread also freezes well. The bread is delicious just the way it is, but you will love this recipe so much you will possibly be making it frequently so a few alternatives will help. Add a small handful of chopped dried apricots or try your favorite chopped nuts. Add the grated rind of an orange and light squeeze of the juice into the final mixture just before baking.